Where are YWAM’s main headquarters? YWAM has no “central headquarters” but rather is decentralised which means that each base or location has its own local leadership. These bases are given oversight by the Global Leadership Team and other Regional leadership teams who choose to meet regularly at various locations. Each base is a part of the larger YWAM family committed to the same values and principles. For more information about YWAM’s structure please go to our international website at www.ywam.org. What denomination is YWAM affiliated with? Youth With A Mission is not affiliated with any one denomination but is made up of Christians from many denominations dedicated to serving Jesus throughout the world. What are the qualifications for joining YWAM staff? Everyone in YWAM must have first successfully completed a DTS. Once you have completed the DTS and you can apply to join our staff team. To join YWAM as staff anywhere in the world, you need to have your own financial backing. Many YWAM locations help people put together a prayer and financial support team (e.g., friends, home groups, churches, relatives, etc.) before they join as staff. YWAM staff meet their financial needs through financial supporters. Sales from Christian publication and deferred giving provide facilities, vehicles equipment, supplies, etc. I want to be a long term missionary, where do I begin? In order to work long term with YWAM you have to first successfully complete a DTS. Once you have completed your DTS your school leader can help you make contact with a base in the area of the world that you called to. Then contact this base to inquire as to the process for joining staff at that location. Should you desire to pioneer a YWAM work in a new location, your DTS school leader can help you make contact with YWAM’s regional leadership for that area of the world. Can you help me locate a person who currently is in YWAM or was at some time? YWAM does not have an international administrative office that maintains a database of every YWAM staff and YWAM alumni. If you want to connect with a person in YWAM, please contact the location they work with directly or their last known location. Another avenue is www.ywamconnect.org. How do we order YWAM Dramas? YWAM Los Angeles offer several drama kits you can purchase. You can contact them at: info@ywamla.org or www.ywamla.org. Youth With A Mission has always sought to involve young people in ministry. While much of YWAM’s outreach and training indeed focuses on young people, many second-career missionaries join YWAM as well. You can find people from age 8 to 80 in YWAM, and the people we serve come from all walks of life. What are YWAM’s Beliefs and Values? Below are the documents that formally express the central values and beliefs of Youth With A Mission. Every YWAM location adheres to these basic beliefs. What are the qualifications for taking a DTS? The main qualification is that you have a relationship with God and are at a place were you to get to know Him more. The only other qualification is that you are 18 years old or have graduated high school (or secondary school). Where do the outreaches go? YWAM Dalarna has a call to go the unreached with the good news of the Gospel of Jesus Christ. Recently we have had teams go to Brazil, Israel, Spain, Egypt, Sweden, Latvia and Estonia. Do I get college credits for the school? Yes, you will receive 12 credits for the lecture phase and 1 credit for each week of outreach with the University of the Nations. There are over 300 campuses (bases) located around the world. YWAM Dalarna is one of these campuses of the University of the Nations. You can find more information about the University of the Nations at www.uofn.edu. Can I transfer my credits to another college? The University of the Nations is a degree-granting institution (Associate, Bachelor, Master) but is not accredited by any accrediting agency or association recognised by the U.S. commissioner of education or European Universities. However, various accredited institutions throughout the world do accept U of N transfer students and credits. This depends on how quickly we receive all the parts of the application back to us. We cannot accept a student without a complete application. There are some things that generally slow down the application process. One is getting both of your reference forms back. You can encourage your references to fill them out and send them back as soon as possible as we can not accept you without the reference forms returned to us. Once we have received your complete application it is our goal to have an answer to you within two weeks. In most cases this happens but occasionally it might take longer if the school leader is out of the country. What would keep me from being accepted? If you are a brand new Christian we might ask that you wait a little longer to apply. If you are currently using illegal drugs or have very recently come off of drugs this might not be the best place for you at this time. If your grasp of the English language is not fluent enough for you to speak, read and write English easily. We carefully pray over every application to see if this is the best time and place for each applicant. What is the difference between the Discipleship Training School (DTS) and the Crossroads Discipleship Training School (CDTS)? The CDTS has been designed for those over 35 years of age and those with families. The content is exactly the same as a normal DTS. Since people in that age category and families have more responsibilities like mortgages, schooling, and businesses they are given a year to complete their outreach. YWAM Dalarna does not offer a CDTS specifically but we offer our DTS to all age groups, single parents and families. I want to do a DTS, but I am married and have children, is that possible? Absolutely, YWAM is made up of families. It is very important for husbands and wives to take the school together as the DTS deals with heart changes and it is best for the marriage to work through things together. We do offer child care for children while parents are in class. I want to do a DTS, but I am a single mom. Yes, you and your child/children are welcome to come to the DTS. We encourage you to consider bringing your own ‘nanny’, or we can try to find childcare during class time. When class is over your main duty is to care for your children. If your chiildren are of school age, they can go to public school or you can home school them (depending on visa or residency status). I want to do a DTS, but I am married and my spouse will not be coming. We will ask that both spouses take the school together. The DTS is a time where you are growing closer to the Lord. It is best for the marriage when both can grow together in the Lord and in their marriage. I have children, do you have daycare/school for them? Yes, we offer child care while you are in class. You can enroll your child/children in public or private school during the time you are in DTS or you can home school them during your down time. Yes, you will definitely need a passport and we ask that you apply for it before leaving your home to come to Dalarna for the DTS. We start purchasing tickets within a few weeks after the beginning of the school. Then we need to send the passports away to the embassy of the country we will go to on outreach to have the visa put in the passport. If you do not start your passport application process early enough then you could be in jeopardy of not being able to go on outreach. I am not from the EU or Schengen area. How do I apply for a visa to come? Once you are accepted you will be given all the paper work to apply for a visa to come and take the DTS. This is not a guarantee that you will be granted the visa (some countries are more difficult to receive Schengen visa’s than others). Once we have determined where you will be going on outreach then we will take care of getting your visa for that country. Will I need a visa for outreach? There are a few exceptions but for the most part yes you will need a visa for the country we will be traveling to. We will apply for the visas for the entire team as a whole. Once you have been accepted you will receive a packing list that will clearly explain what to bring. We ask that you bring only two suitcases as you will be sharing bedroom space with others. Generally speaking you will have a half of a dresser and a portion of the closet for your belongings. On outreach we ask that you bring only as much as you can carry. 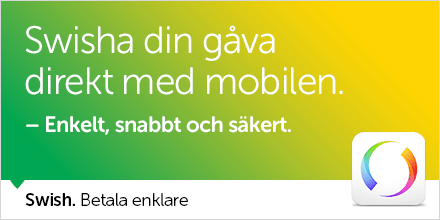 It would be best if you have insurance but it is not mandatory for your time in Dalarna. We do not offer insurance, if you want it you would need to provide it for yourself. Insurance is recommended and may be necessary for your visa. EU citizens should at least obtain a ‘E111′ insurance card for the time in Sweden. What about insurance for the outreach? We do require that you have insurance for outreach. You can provide your own coverage or we can help find, at your cost, an inexpensive but good travel insurance. I have a special health need, can I still come? Yes, we will work with you in any way possible to help you complete your DTS. If you have food allergies, diabetes, are a vegetarian or whatever – as long as we are aware of the special need we will try to work with you. If the special need requires that you cannot leave the country then we would try and work out an in-country outreach so you would be able to complete your DTS. What is the refund policy if I leave in the middle of the school? The following schedule of refunds will be made after the non-refundable portion is subtracted from your payments. The registration fee of 750 SEK is non-refundable. * In extenuating circumstances, such as a death in the family of a student, special consideration will be given for refunds. Do I have to stay in YWAM housing? If you have family or close friends living close by you are free to visit them in the evenings or on weekends but you are required to live in YWAM housing during your time as a student. There is so much discipleship, ministry and relationships that happen while living together that would be lost if you only were a part of the school during class time. Everyone in YWAM is financially supported by family, friends and churches and no one works outside of the ministry. You are in class or have community responsibilities from 8:30-5:30 Monday through Friday. Tuesday evening we have a mandatory Family Night and the rest of the evenings are spent in reading required books, book reports, bible verse memorization, and building relationships. The weekends are mostly free but that also is a time of hanging out with friends, sports, laundry and just plain relaxing and getting caught up on sleep. We do ask that everyone goes to church on Sunday – you pick which one, we just ask that you do go to church weekly. The DTS staff will be praying early in the school for the best outreach location for you and the team. Recently we have had teams to Brazil, Egypt, Israel, , Latvia, Spain, Sweden. Our outreaches often work in partnership with local YWAM teams to give you a wider experience of our global mission. Do I have to go on the outreach? For the DTS it is required that you complete the outreach. The CDTS you have up to a year to complete the outreach. Secondary schools vary from school to school but for the most part it is always best to go on outreach with your school. We will gladly answer any of your questions and pray for any prayer requests you might have. See the contact page for ways to contact us.